Apple’s October event came and went without mention of an updated AirPods wireless charging case or AirPower. Both products were originally announced back in 2017 during the iPhone X launch event. While we haven’t seen either product come to life, it does seem like Apple may be looking to releasing an AirPods update altogether, which may include that AirPods wireless charging case. As reported by MySmartPrice, AirPods have just received the mandatory Bluetooth SIG certification, getting the green light from the agency. The certification details new information regarding the Bluetooth headset such as new health sensing technologies and updated Bluetooth protocols. 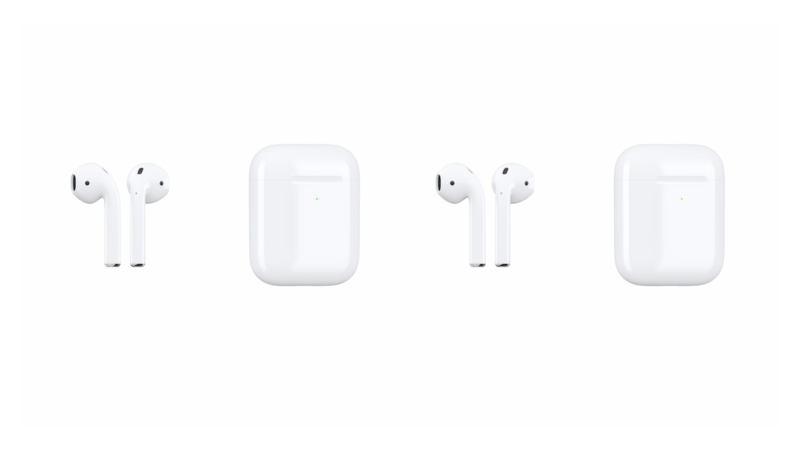 Two new listings today, which have model numbers A2031 and A2032 mention that the AirPods will be receiving a much-welcomed Bluetooth 5.0 update. Unlike previous filings for various other products, this mentions AirPods by name. While this isn’t any indication of a release anytime soon, it does indicate ongoing work for a revision of the super-popular AirPods. At the very least, it does indicate that we’ll be getting an updated Bluetooth radio. Bluetooth 5.0 doesn’t bring much benefit in terms of audio, it does extend the range and likely improve battery life. Previous reports have indicated that Apple is working on some new health features for AirPods. This includes possibly tracking and recording heart rate data. We’re expecting updated AirPods to be released sometime in 2019.